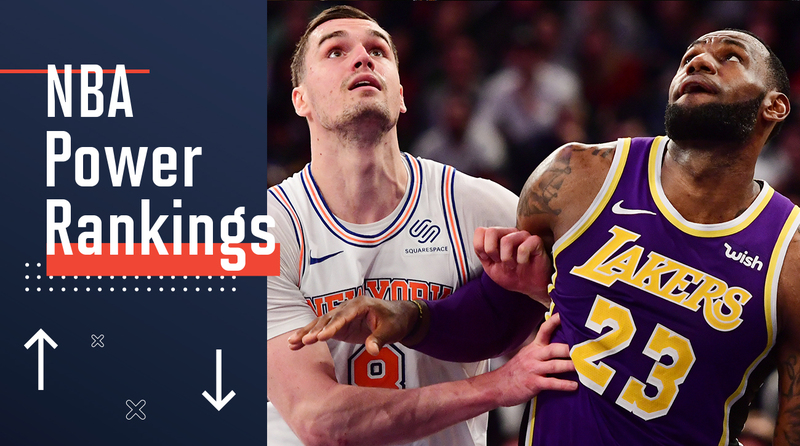 LeBron James and the Lakers fell to the Knicks at Madison Square Garden in a very unusual way. While Lou Williams is making his case as a Hall of Famer for his prolific bench scoring. Here is this week's power rankings. On Sunday, I witnessed something truly remarkable as the Lakers and Clippers both found ways to end their games in ways that sum up their seasons. LeBron James getting a potential game-winner blocked was as shocking and jaw-dropping as Lou Williams hitting a walk-off three was appropriate and expected despite never happening before. It’s always cool when sports create poetic moments like those. And that left me inspired to make this week’s Power Rankings more symbolic than ones in the past. So let’s reflect on each team’s season and project a bit into their futures by using some poetry, and a handful of cliffnotes for those of you who hated the Shakespeare unit in English class. Ban the fans and shirts. Mario Hezonja just needs to cross up James Harden or pull up from 30 against Stephen Curry and he will have have the greatest season of highlights for his career. Both wins over the Lakers this season stopped eight-game losing streaks. playground we have ever seen. Since the start of February, the Lakers have gone 4-14. LeBron James is on track to average 27-8-8 for the second time in his career. The first instance was last season. Collin Sexton has scored at least 23 in five straight games and is shooting 55.7% (49-for-88) and 47.2% (17-for-36) from three. Kevin Love is shooting more threes (6.8) than twos (6.3) for the first time in his career, and he’s only shooting one percentage point better from two (39% on twos vs. 38% on threes). The Bulls have lost five straight since beating the 76ers by one. Robin Lopez posted consecutive 20-point games for the first time this season against the Lakers and Clippers. Luka Doncic missed Saturday’s game with a knee contusion. After playing so much before the start of this season, it will be interesting to see if the Mavericks look to rest him a bit more to not wear out his legs in now meaningless games. think this all over again. Take the T and L.
The Pelicans have matched a season-high six-game losing streak. Julius Randle went for a career-high 45 in a loss Friday to the Trail Blazers. A career-high 45 points last night for the @PelicansNBA's Julius Randle! Kelly Oubre Jr. has been averaging 16.9 points with Phoenix, which is four more than he was posting with the Wizards this season. At 5-4 so far in March, the Suns have the chance to finish a month above .500 for the first time this season. All grit and no gloss. A 21-point loss in Atlanta snapped a three-game winning streak. Joakim Noah’s three-straight games with double-digit scoring is his second best stretch of the season and marks the first time all season his scoring output has increased in three consecutive games. What Happens to a Star in Charlotte? then went downhill ever so slow. The Hornets lost the fourth quarter by 17 points in their 18-point loss to the Heat Sunday that tied the season series. Charlotte is now closer to the Wizards in 11th in the East (1.5 games ahead) than it is to Miami in the eighth seed (two games behind). Jeremy Lamb is averaging 16.2 points in 11 games off the bench. Minnesota has lost eight straight on the road but has won six straight at home. Karl-Anthony Towns has continued his dominance of late and also averaged more than four assists per game this past week. Have you seen the highlight reels? Bradley Beal might mess around and win a scoring title next year. With games remaining against Utah, Denver, San Antonio, Miami and Boston, Washington could play a big role in the playoff picture despite not heading to the postseason. Jabari Parker’s 60.4% effective field-goal percentage in 16 games marks arguably the best and easily the most efficient shooting stretch of his career. inspire hope in the stands. As can an old man. The Hawks welcome the Rockets, Jazz and 76ers into Atlanta this week. Expect them to steal one of those games. And after a few games below his assist average, look for Trae Young to be an aggressive facilitator in those matchups against playoff teams. The Kings are about as far back of the Clippers as the Clippers are of the Nuggets. Sacramento suffered three close losses to close out a four-game east coast swing. Marvin Bagley III returned from injury to put up 14, 15 and 21 in his first three games back. The Nets have started their West Coast trip 0-3 after letting Sunday’s game slip away. Caris LeVert is still looking to get acclimated after returning from injury. He’s yet to score 20 points in the 16 games since his return. Brooklyn has had two three-game losing streaks in its last 10 contests and a four-game winning streak sandwiched between. What Are Clouds in a Drought? After losing four of five, the Magic are now on a two-game winning streak to pull a game behind the Heat for eighth in the East. Nikola Vucevic went for 27 and 20 in a win over the Hawks. Orlando has three more games in a five-game homestand before starting a four-game road trip in Miami and Detroit. The Heat hit six threes and got 12 points from Dwyane Wade and 10 from Goran Dragic in the fourth quarter against the Hornets Sunday. After getting wins over the Pistons and Hornets, Miami still gets to face off against the Magic and Nets to bolster its playoff standing. Indiana is still a game up on the Celtics for the fourth seed and has two games left against Boston. The Pistons swept the Raptors on the season thanks to Sunday’s win. Blake Griffin will not be getting any MVP love this season, but depending on the matchup, he might guide Detroit past the first round of the playoffs. After scoring in single digits in back-to-back losses, Reggie Jackson has gone for 20 in consecutive wins. June and end in a parade? Al Horford and Gordon Hayward were banged up in Saturday’s win. Winners of five of their last six, the Celtics will face the Nuggets, 76ers and Spurs this week. 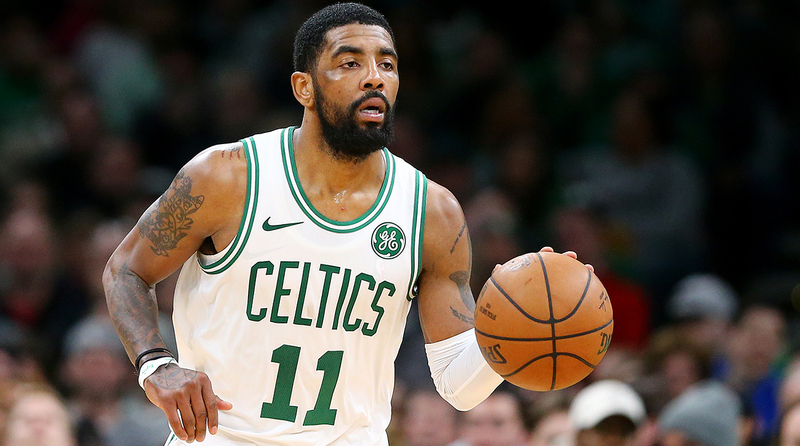 Kyrie Irving averaged 30.5 points, 10.5 assists and 10.5 rebounds in his last two and posted his second career triple double. The Thunder will be without Westbrook Monday against the Heat after he picked up his 16th technical foul on the season. Oklahoma City is 5-8 since the All-Star Break and now fifth in the West. The Spurs are riding an eight-game winning streak that includes five wins over playoff teams. San Antonio’s next four games are also against likely playoff teams, but seven of its final eight are against likely lottery teams. The team is 34-21 with Derrick White in the lineup and 7-8 without him. C.J. McCollum has a knee strain that will be re-evaluated in a week, but the injury could have been much worse. Jusuf Nurkic once had Kobe cuss at him in Bosnian because of course Kobe would do that. Jimmy Butler scored 14 of his 27 points on Sunday against the Bucks in the fourth quarter. The 76ers have won four straight since Joel Embiid returned to the lineup. The Raptors lost by 25 in Cleveland but beat LeBron by 13 points this week. After shooting 27.6% on threes in February, Kawhi Leonard is now shooting 45.9% from deep in March and went 13-for-24 last week. The Jazz showed their fan base is better than a pair of obnoxious guys who hate Russell Westbrook and showing a human proper respect by banning two men who have no business attending another NBA game in their lives. The Nuggets play six of their next seven on the road, including a four-game trip East this week. With one more win, Denver will exceed last season’s win total and it will mark a franchise-record fourth consecutive season with an improved record. “But that’s where The King resides.” Oh? What a pity. 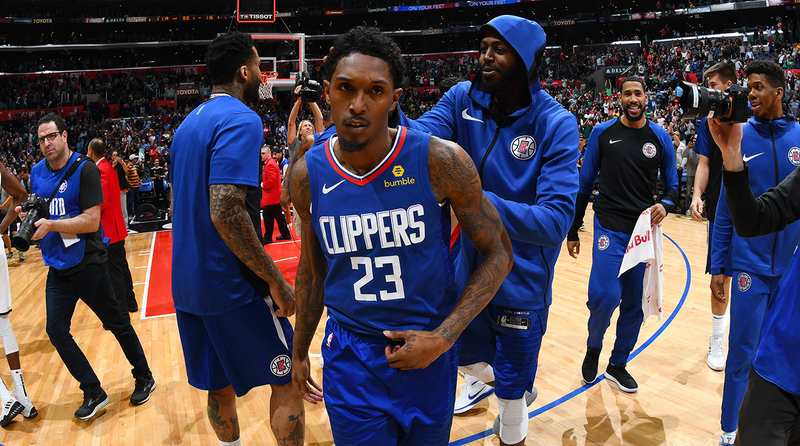 Lou Williams is the officially the most prolific bench scorer of all-time and I think it’s time to have a conversation about what that should mean to Hall of Fame voters. Just two games out of the four seed and with six games left against teams under .500 and a contest against Utah waiting for the season finale, this team still has a great shot at homecourt for the first round. Giannis went for a career-high 52, but the Bucks lost to the 76ers. Malcolm Brogdon on the shelf for six to eight weeks could be a big issue depending on Milwaukee’s second round playoff matchup. But D.J. Wilson, who went for 13 (3-for-6 from three) against Philadelphia could be a boost to the lineup. Speed kills, as do threes. The Warriors avoided getting swept by the Rockets, and then washed the Thunder, all without Kevin Durant. Andrew Bogut could be making his return on Monday against the Spurs with DeMarcus Cousins dealing with a sore right foot. After winning the season series 3-1, you don’t want to put too much emphasis on Wednesday’s loss to the Warriors, but it has to sting. Chris Paul made his first six threes in Sunday’s win over the Timberwolves. P.J. Tucker is shooting 10 percentage points better on right corner threes vs. left corner threes.